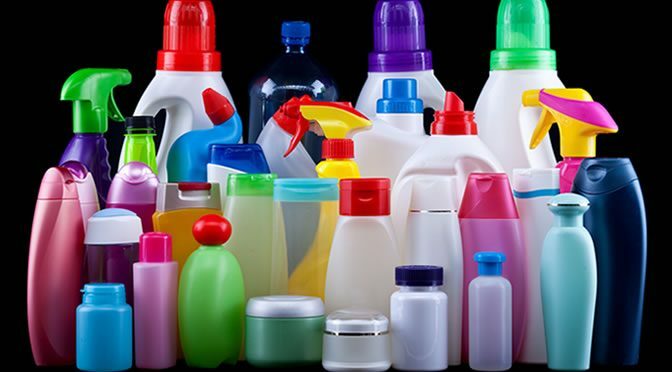 Many consumer products contain this common antimicrobial agent which can have a negative impact on the human health. Triclosan is a synthetic antimicrobial agent that can upset bacterial communities in the gut, a new study suggests. Use of triclosan can also lead to ‘superbugs’ which are bacteria that are fully resistant to antimicrobials (e.g. antibiotics). Triclosan is absorbed through the skin easily and traces can be found in most people’s urine. “There has been a legacy of concern about exposure to microbial pathogens, which has led to increased use of these antimicrobial products. However, there’s now a growing awareness of the importance of the bacteria in our gut microbiome for human health, and the overuse of antibiotics that can lead to the rise of ‘superbugs’. Exposure to triclosan makes changes to the microbial community structure and the diversity of microorganisms. Also, some bacteria such as Enterobacteriaceae are vulnerable and some — such as those in the Pseudomonas family — are resilient to the impact of triclosan. Scientists believe that these changes can imbalance the bacteria in the gut, which in turn contributes to severe illnesses in humans. “Clearly there may be situations where antibacterial agents are needed. However, scientists now have evidence that intestinal bacteria may have metabolic, cardiovascular, autoimmune and neurological impacts, and concerns about overuse of these agents are valid. Cumulative impacts are also possible. The gut microbiome is vital for human health as it improves immune system function, produces micronutrients and stops the growth of pathogens in the body. Abnormality in the gut microbiome can lead to conditions such as malnutrition, arthritis, diabetes and heart disease. The study was published in PLOS ONE (Gaulkeet al., 2016).